This is the first novel in the best-selling Angel Mountain Saga, about the life and times of the incorrigible, passionate and very imperfect heroine Martha Morgan. In 1796, Martha becomes the mistress of the struggling Plas Ingli estate, at only eighteen years old. She is pregnant and suicidal. Though she loves her husband David dearly, she is desperately lonely in a strange house, and her quick wit and cutting humour make her as many enemies as friends. There are mysteries surrounding the great fire that devastated the estate but Martha's questions about it remain unanswered. Nobody else seems to realize that their haughty servant Moses Lloyd, the disinherited son of the local squire, is not as trustworthy as the rest of the family would like to think. The local gentry consider that Martha is far too clever for her own good, and indeed it seems inevitable that she will fall into a trap which is designed to send her to the gallows. How can she possibly escape? 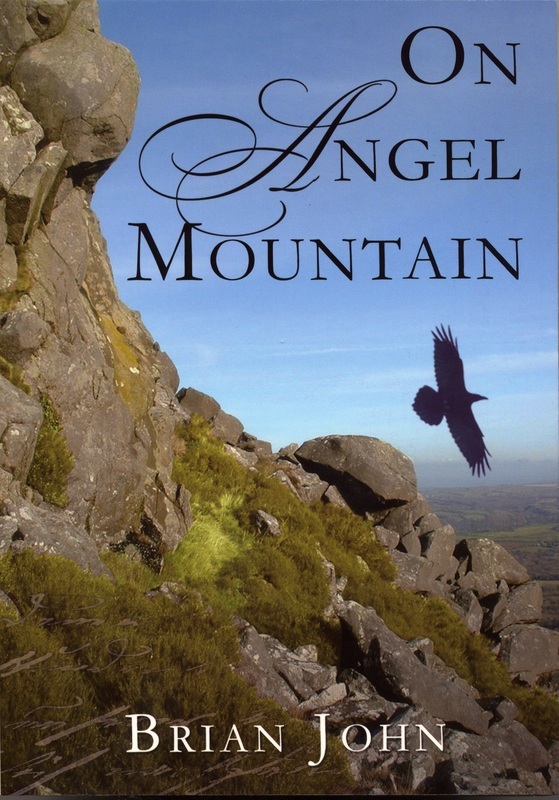 On Angel Mountain is a gripping tale in the tradition of Winston Graham's Poldark. The world which it portrays is very different from that of Jane Austen -- West Wales in the Regency period was a rougher, tougher place, where there was little respect for the law and where status had to be earned, the hard way. The story is written in the form of a diary, in the words of Martha herself. 2001. ISBN 978-0-905559 80 3. A5 paperback, 328 pp. All of the Angel Mountain Saga stories are set on and around the little mountain of Carningli and in the adjacent communities of Cilgwyn and Newport, on the spectacular cliffed coastline of North Pembrokeshire in Wales. This is a landscape on an intimate scale, and one that is very beautiful, including bluestone crags and scree slopes, wild moorlands, deep wooded valleys, and a wide sheltered estuary leading out into the sweep of Cardigan Bay. The novels have a very strong sense of place, and for that reason they have been compared with the novels of Thomas Hardy, Catherine Cookson or Winston Graham. The mountain is more than just a location in the stories -- it is almost a character in its own right, portrayed in its changing moods and colours, and also influencing the key events which affect the heroine. The summit is a place blessed by angels, and indeed it has a long history as a sacred place, dating back to the time of the early Celtic saints. So it is Martha's cathedral and her sanctuary -- but also a place of supernatural encounters and a number of terrifying episodes which almost drag our heroine to her doom.